Tom and I dodged down to Hite Cove to check up on the flowers there and get a little run in. The run was marvelous. We went all the way to the Cove, and I felt great – although my legs were cramping a little toward the end (not sure why). Plus, the flowers were spectacular. A friend had been a little worried that the poppies were past. True, they may not be as abundant as they have been, but there are still plenty spectacular. Right now, it seems like the best display is further up-canyon, near El Portal. For my money, the hillsides have gotten even more interesting because instead of uninterrupted carpets of orange, the orange is punctuated with many other flowers and colors. 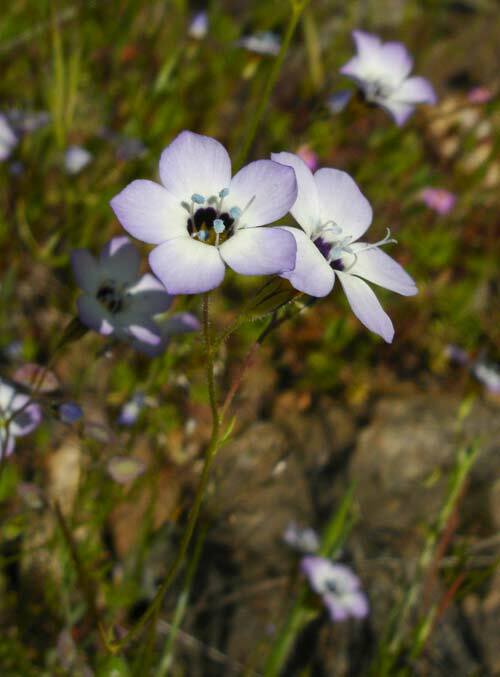 I think the show stopper this trip, were the beautiful patches of Bird’s Eye Gilia (of which I got the Gilia and the B, but had to look up the rest).. or the RedBud. RedBud is always amazing when it is in bloom.